Quick and fun ways to learn how to play the violin. Proper techniques and posture in playing the violin. Learn basic musical notes reading and musical terms. Exercises for tempo and finger training. Always wanted to start on violin but find it daunting? Students who are looking to embark on the violin journey in a flexible and fun way, we have heard you! 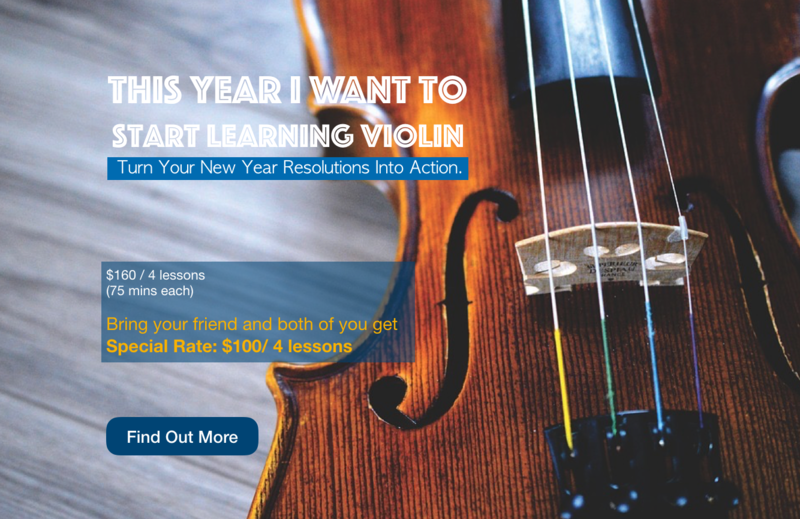 A course structured for beginner violin players who wish to start on their violin journey. Address common mistakes to avoid shoulder and neck aches when playing the violin. The lessons are structured by an experienced tutor to ensure students are learning the violin progressively. Oh.. Did we mentioned that both of you can enjoy the special rate for first 4 lessons while joining our beginner violin lessons. 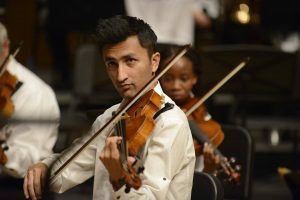 With more than 4 years of teaching experience as a private viola and violin tutor, parents feedback that his teaching is with passion and patient as well. Mr Tulaganov has performed internationally in USA, Germany, Macao, Hong Kong, Norway, Singapore. Mr Dior previously attended Music Academy of the West Music Festival 2017 (USA), Kammermuziken (Germany), Playing for Gold 2016 Music Festival, (Norway). Recently Mr.Tulaganov was awarded the second prize at Golden Classical Music Awards International Competition 2017 (New York) and going to give a recital as a soloist at Weill Hall, Carnegie Hall,(New York) as a competition winner. Learn how to play your favourite songs today with our experienced violin teacher!